The mystery of how an Islamic dictatorship came to power remains more than thirty years after the Islamic Republic's inception in Iran. The precise nature of a regime that calls itself both a republic and Islamic but is neither is little understood. The ayatollahs' unpopularity may have reached unprecedented heights, but their power seems more secure. Such paradoxes weigh heavily and judgments diverge. While public opinion wonders how an archaic theocratic regime could survive so long, some explain it in terms of Iran's continued modernization and the clergy's ability to reconcile itself with politics.Understanding the modernization process propelled by the Constitutional Revolution is difficult and raises questions. How and why could ideological Islam continue to dominate Iranian society since the late 1970s? How did it gain power and influence and overcome the reforms molded by the Constitutional Revolution? Mahnaz Shirali analyzes twentieth-century Iranian history to understand the Shiite clergy's role in a modernized country's social and political organization. 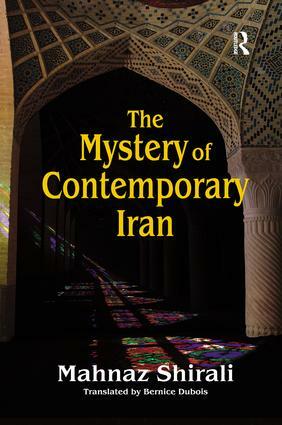 She explains what enabled the clergy to take over prevailing political forces and gain control of the state.Studying Iran's history for the past one hundred years reveals the force of a religious conservatism opposing political modernity, repelling any attempt at democracy by Iranians, thanks to its constant metamorphoses. Shirali studies the curse of the Shiite clergy on political modernity. It is a convincing, in-depth criticism of the ideological Islam imposed on Iran.